I am super excited to be partnering up with a Nappy brand that has been loyal to me throughout raising all three of my children, PAMPERS! 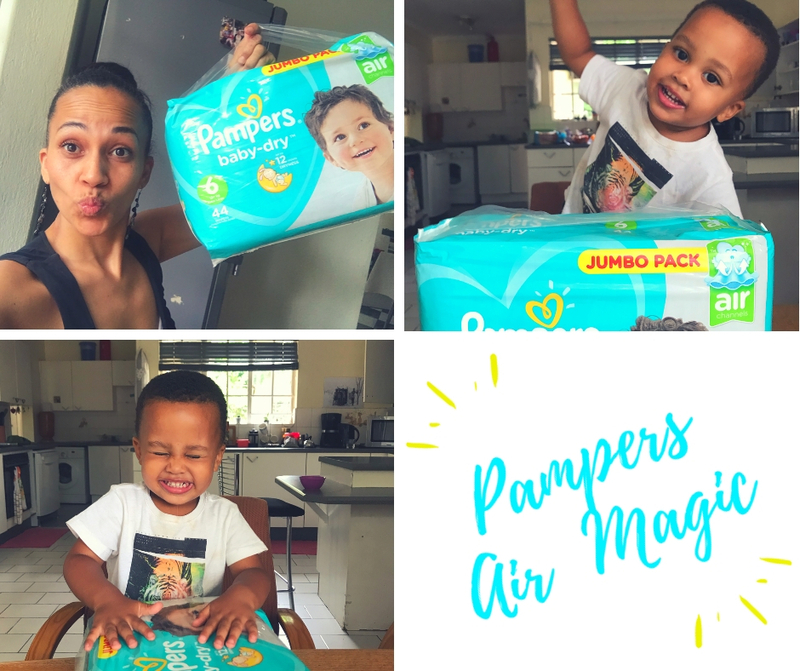 Funny enough before joining the #PampersAirMagic campaign I was already using the new range on Kai and was absolutely loving them. So now I have the opportunity to impart some of the technical wisdom behind the awesome Pampers innovation! 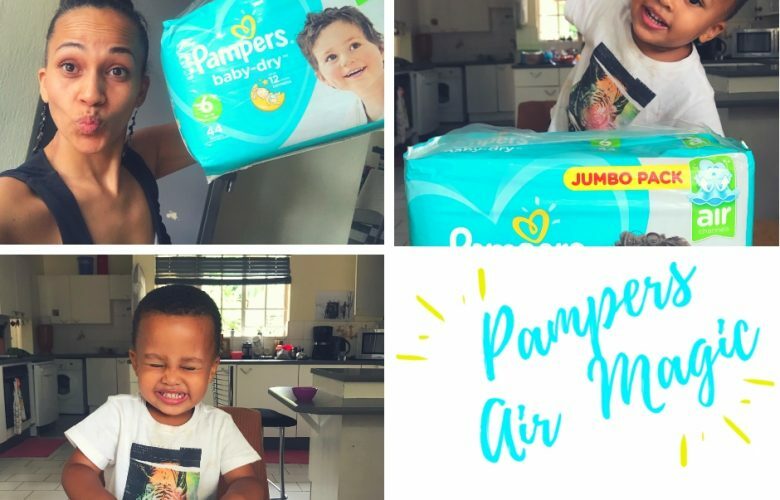 Why I Love PAMPERS? Honestly Pampers are the only nappies that has enabled my kids to sleep through the night without and leaks. I have tested other brands that have not been successful and when I don’t get sleep Mommy is not a happy camper the next day and the whole family knows it! So we have stuck with Pampers through and through and now they have innovated their design which is a world-first in nappy technology. What is the the Big Deal about this nappy technology? Well guys the new Pampers Baby- Dry has “2 Air channels.” Which is a real game changer because that means that your babies bottom can breath. Lets just say most women know how important it is to have air down there and it is just as important for your baby! I won’t go any further on that topic but in a nutshell having more air down there will reduce the ITCH factor caused by the favourable rash conditions of the heat and moisture. How does the 2 Air Channels work? This is like nappy innovation at its best! When you open the nappy you can actually see and feel the two air channels. The 2 air channels distribute the wetness evenly from front the back across nappy and lock it away. This innovation allows for up to 12 hours of dryness and the nappy is sagg-less (if there is such a word). Ain’t nobody want saggy anything so sagglessness (new word!) gets a thumbs up! They have changed the interior and exterior designs which are targeted toward to kids. Kai called his new nappies the Happy Birthday nappies because his had a party picture on them. There are absorbent Micro Pearls which absorb up to 30x of its own weight and help lock away wetness for up to 12 hours. 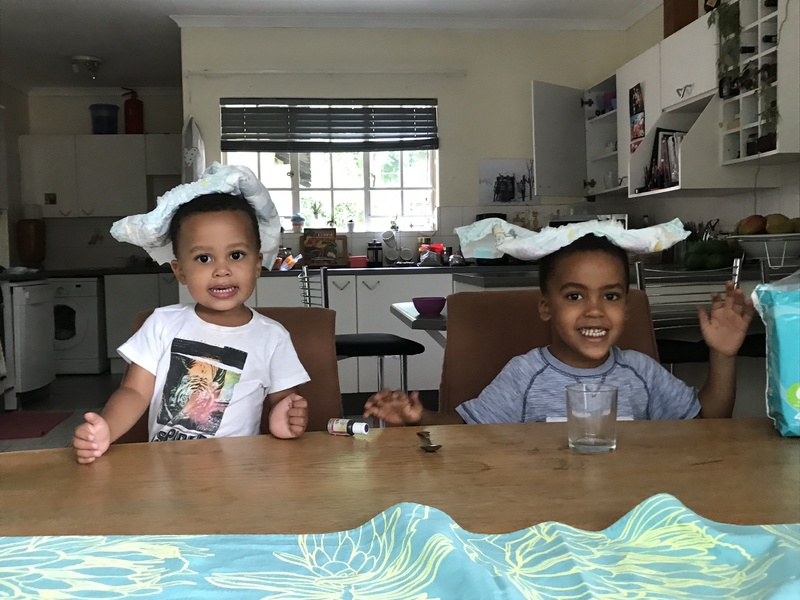 I discovered this 30x fact when Kai went into the swimming pool with his Pampers nappies on and came out with an explosive nappy bulging from his swim suit, it was quite a funny sight. I couldn’t believe how much these nappies absorbed because they are super thin in the beginning. The nappies have a baby moisturizer layer which helps with reducing rashes. That was definitely new news to me but thought it was a cool fact. The wetness indicator turns blue when the babies nappy is wet which is perfect for a science experiment for your older kids. There are anti leakage barriers that provide great fit and prevent leaks. Lastly the dry layer absorbs the moisture and keeps your babies bum dry. So don’t you think an innovative nappy that is itch-less, sagg-less and full of coolness is what you call awesomeness? I think so! 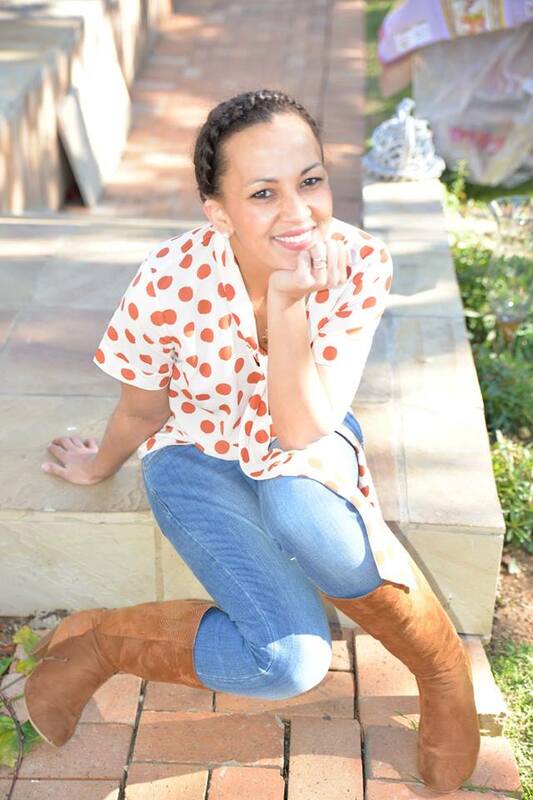 The nappies retail for around R230 across all major retailers and at the moment only sizes 2-6 are available, but sizes 1-3 will be introduced to the market soon. Try them out and let me know what you think! Stay tuned for our demo video! So glad you are loving your pampers ;)!